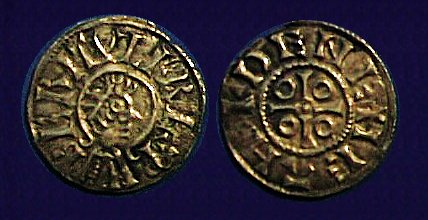 Berhtwulf (Beorhtwulf) was King of Mercia who reigned between 840 and 852 AD. Berhtwulf had succeeded WIGLAF as king. His reign was marked by strife for this was a period of Viking attacks on a near consistent basis. Berhtwulf was finally defeated in 852 when he was ultimated faced by over 350 Viking ships that succeeded in storming both London and Canterbury. Berhtwulf eventually died the following year in 853 AD and was succeeded by his son BURGRED.